Resetting all the specified new settings to users of gadgets is sometimes simply an extremely necessary measure. Without this process, the phone will not be able to function normally as before. The Android operating system suggests some simple ways to reset the settings. Thus the device will work again without problems. Complete lack of response to user-defined tasks. The phone has disconnected and is not working. The owner of the electronics has forgotten his password or lock. Hanging when working with a gadget. In order for a phone that works on the Android operating system to function normally, its owner does not need special knowledge or skills. There are three ways to reset the settings. They are simple and fast. After performing such actions, each user is guaranteed. One has only to remember about the correctness and consistency of the operations performed. Each of the methods is suitable for specific problems and their resolution. Try and be convinced of efficiency of ways. Phased and correct actions - the key to success. Each method is used in different cases. 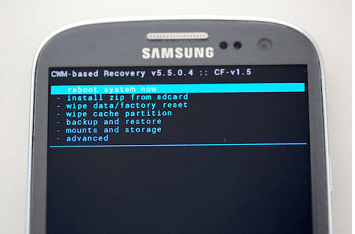 The first, when the user can reset the settings using Recovery on the Android operating system, is used in cases when the device is not turned on. It includes a series of simple actions. Enable Recovery. You can do this by holding down the keys in the following four combinations - increase the volume and the power button, decrease the volume and the power button, increase or decrease the volume, power button and the Home button, increase and decrease the volume and the power button. Select the task “wipe data / factory reset”. Then select “yes - delete all user data”. After that, select the “reboot system now”. As a result of such simple actions, the phone will reboot. The owner of the gadget will receive factory settings for the Android operating system. The first way to achieve results and reset all settings is very simple and fast. A lot of time the user will not take. It only requires the correctness of all steps to reset. Go to the Android settings on the phone. Go to the item “Restore and reset”. Be sure to make a backup reset before this. In the item “Restore and reset” select the task “Reset settings”. Then click on the task “Reset phone (tablet)”. The phone will come back to its normal state. It will work productively and without system crashes. The second method is also quite simple and fast. Any user will be able to resume the original settings of the gadget. Try it and see for yourself..
* # * # 7378423 # * # *. Just enter one of them in the line of the call and press the “Call” key. All is ready. Settings again, as before. The phone on the Android operating system will work productively and quickly. Electronics owners should remember that any of the above codes may not work. Then you should apply another and so on. You can choose any method that is right for you, and use the device with all its capabilities again. Reset is easy and fast. Owners of gadgets do not need to contact a repair or specialized service. The center can also reset, but it will be longer, not so comfortable and you will have to pay out of pocket.. Self-renewal will save money and the strength of any owner. Each user can independently perform simple operations and return the “health” of the phone.